This angular PANDORA Rose spacer features a central line of clear cubic zirconia stones; bright spotlights to illuminate your bracelet and the perfect blend of warm and cool tones. 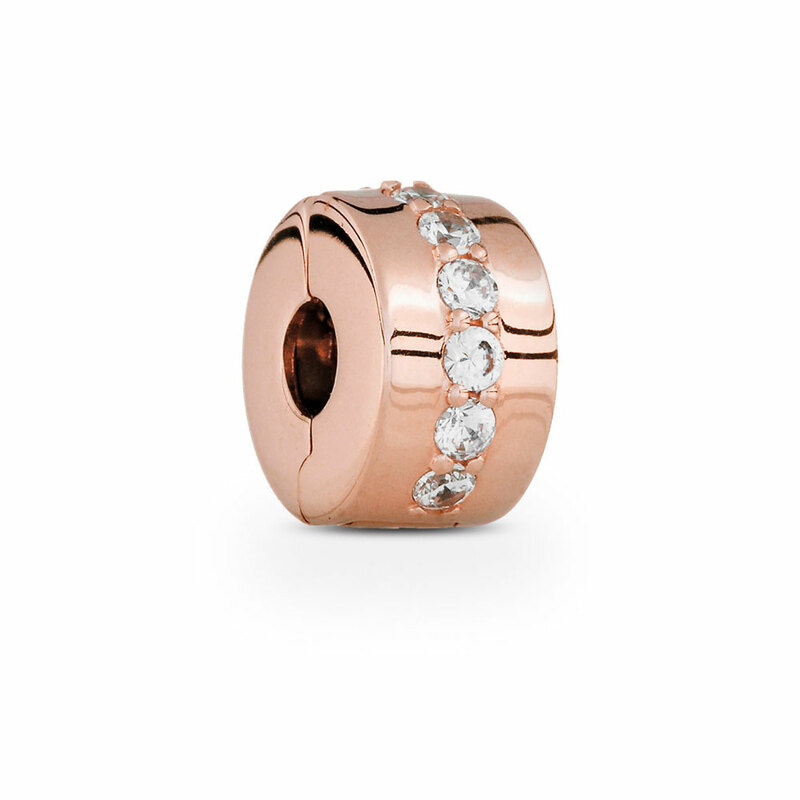 Crafted from a unique blend of metals, this spacer is perfect for sterling silver and PANDORA Rose bracelets alike. Available online or in concept stores only.This item is a single clip charm only. Bracelets sold seperately. Styling images may show this charm on a bracelet as styling inspiration.